Jael's Art Jewels Blog: Polly want a cracker? In the user group Tranquil Beading Oasis on ebay, the inspirational muse photo was of a parrot. 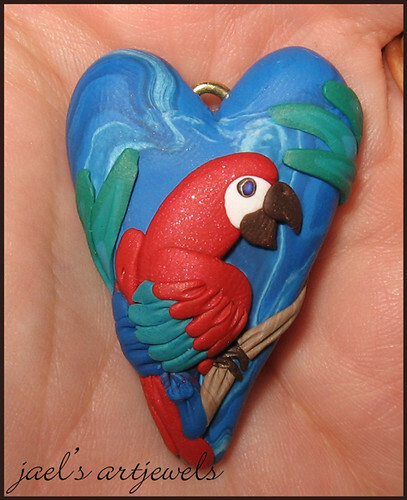 I decided to try my hand at a little sculpting on a bead, creating a parrot on a heart. I have to say, I'm pleased with the result! Wowzer J that came out super. Nice work!!! !